Friday would prove to be my shortest stay at All-Con. I only had one panel to teach (Secret Origins: The History of American Comics) and with a show in Dallas to perform in that evening (Amber Does Dallas' bi-monthly performance of The Rocky Horror Picture Show at the historic Lakewood Theater) my time was limited. Still, I found plenty of time to wander the halls and snag several pictures of some interesting cosplays and other interesting sights before I had to dash off for the evening. Despite our troupe doing double duty, with a show at our regular venue on Friday night and a performance at All-Con on Saturday night, some of our number took the time to create and staff an amazing display table to promote our work. Pictured behind the table is our promotions manager Ali, looking cool as ever. 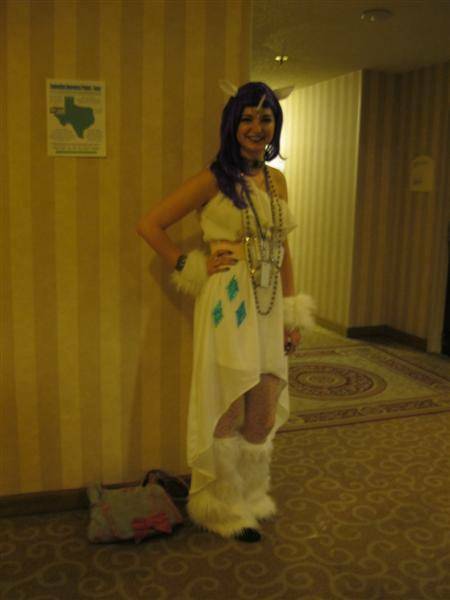 I'm no Bronie but even I can appreciate the craft and complexity of this costume, which I am informed by someone much more knowledgeable about these things than myself is the character Rarity. This costume, however, I knew straight away. That's The Shoveler from the cult-classic Mystery Men. 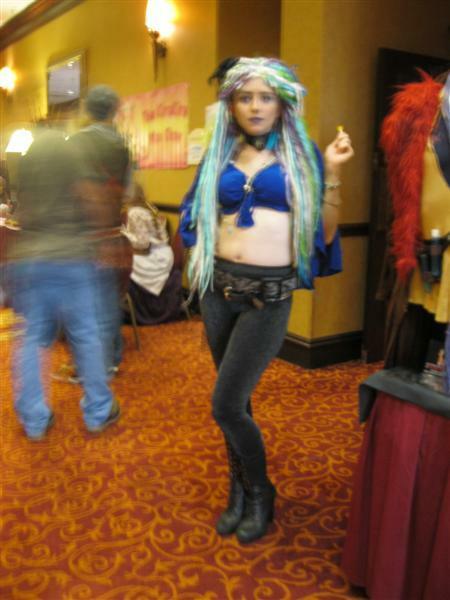 Here we see my fellow ADD member, Nako Sweet, cosplaying the Winter Lady Maeve from The Dresden Files. Note the poor fellow frozen in time behind her, due to Nako's very real fairy magic. 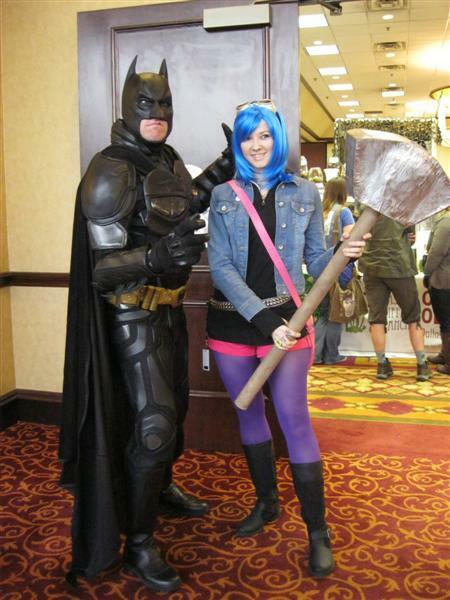 Batman and Romana Flowers. A strange pairing, no? But nothing's truly strange at All-Con. 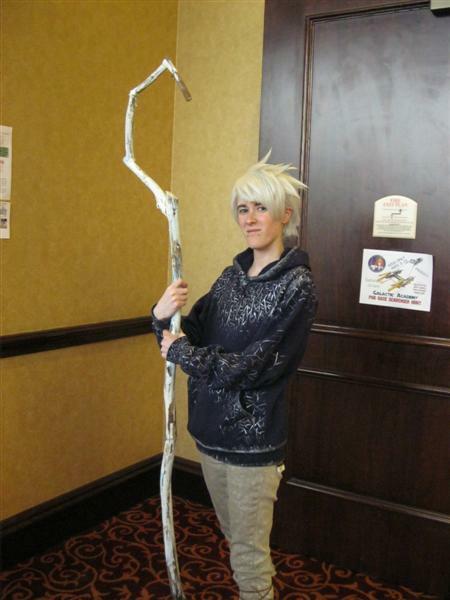 I haven't seen Rise of the Guardians yet, but even I recognized this wonderful Jack Frost cosplay. Great Hera! 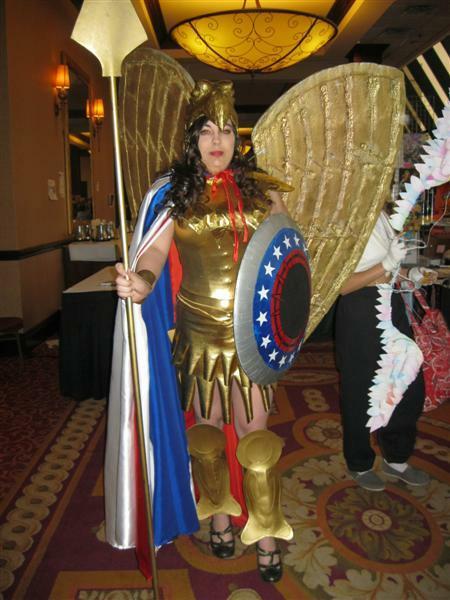 It's Kingdom Come Wonder Woman, with the golden eagle armor. My buddy Paul Riddel was present, manning the booth for The Texas Triffid Ranch. 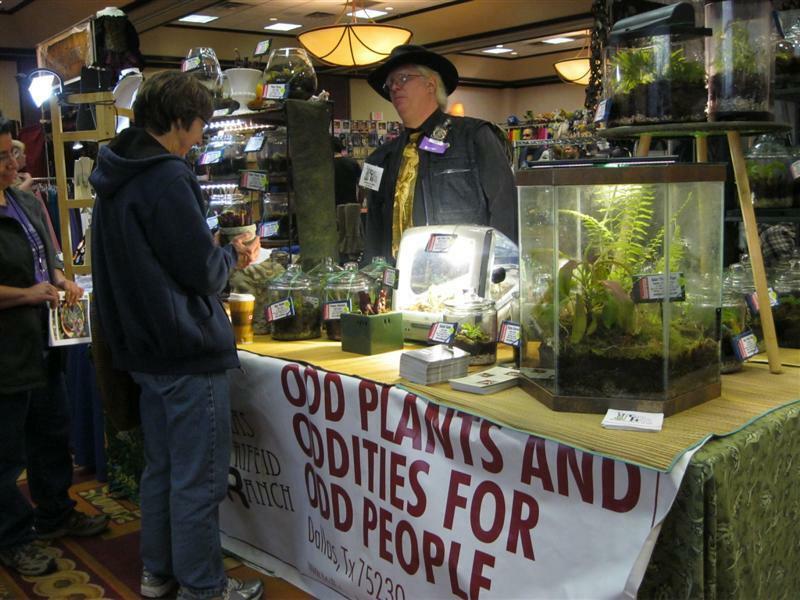 If you've ever had the hankering to adopt a carnivorous plant, Paul's the man to talk to. 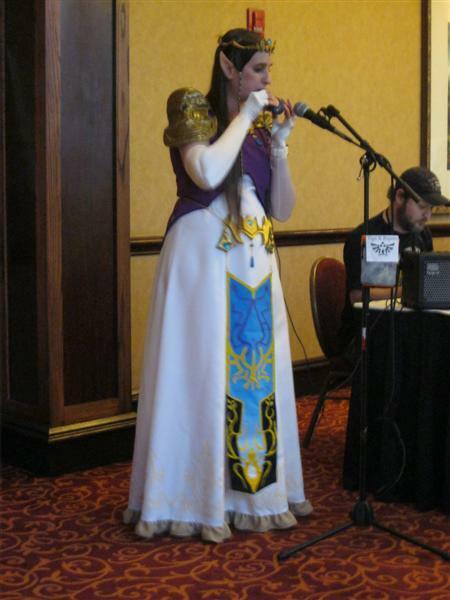 This lady cosplayed a most impressive Princess Zelda and her music was as lovely as her costume. She played various themes from The Legend of Zelda games on an ocarina and it was enchanting. But don't take my word for it! You can hear some samples of her work at crisgale.com. 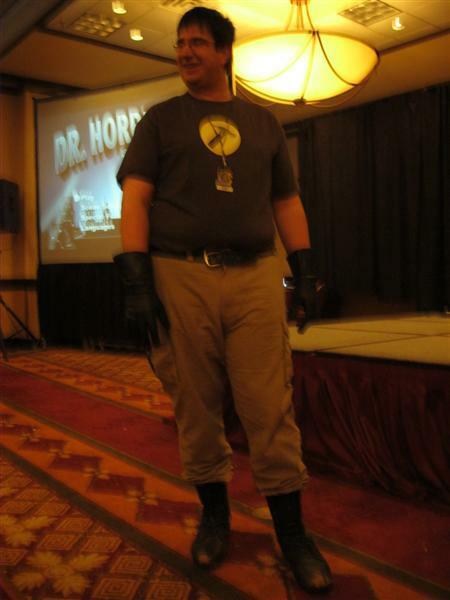 My friend Rick Gutierrez of The United States of Geekdom cut quite a fine figure as Captain Hammer, MCing their annual Doctor Horrible screening. 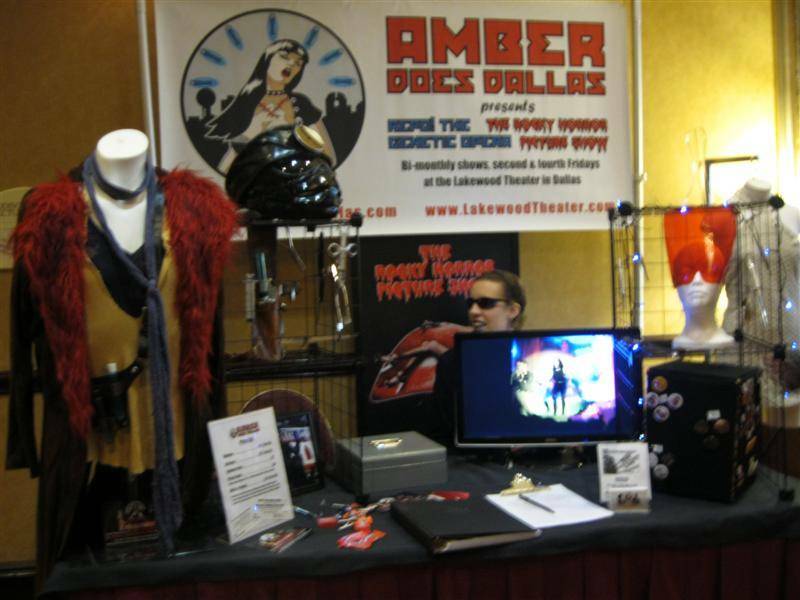 While Amber Does Dallas wasn't a co-sponsor this year, I was still on hand to offer my riffing expertise to the proceedings. Finally, I'd like to give a shout-out to artist Jessica Grundy, who was kind enough to share a brief conversation with me after I mistook her for someone else and patient enough to wait until I could break a $20 to buy one of her adorable buttons. Check out her store at the above link. You cam just couldnt handle my awesome. Yes, I discovered my camera has problems with awesome, dark rooms without a flash (despite having a nighttime photography mode) and sudden movement. But mostly awesome. Why do you think I have so few pictures of myself?